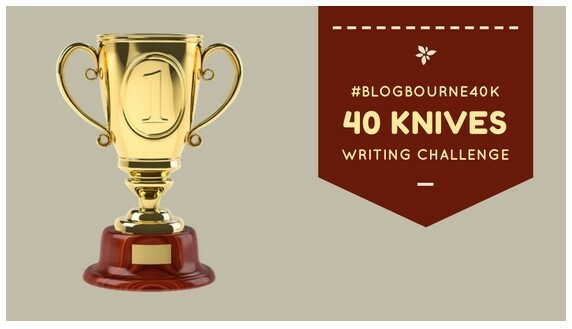 This is repost from Blogbourne with the same title, Short Story: Braving the 40 Sharp Knives. 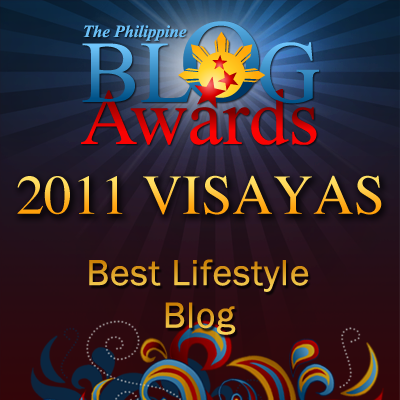 It was my entry in the writing contest on "40 Knives". It received the honourable mention award. Take a time to read it. The weather wasn’t good. The country was experiencing a heavy rain and a strong wind brought by a typhoon. Mario Reyes just came home after 5 years of working abroad as a Software Engineer in a big company abroad. He threw a party for his friends as a thanksgiving. To thank them for their moral support, when he’s processing his working papers before. Mario by nature is friendly, generous and helpful. He grew up from a poor family of three. He was the youngest. His two siblings had already had their family. His parents, Nong Jose and Nang Liberty were already gone. Mario or Mayok as his friend called him was a bachelor. He got two nephews to support. He provided them with their education. He’s too proud of his nephews who were professionals. The first was Bravo, 30 years old, employed as a high school teacher. And the second is Segundo, 25 years old, an accountant in a local commercial bank in the capital city. His nephews were good and well-mannered fellows just like him. Bravo and Segundo, though they’re single but they’re engaged to their fellow officemates. The party started late in the evening. The heavy downpour delayed the invited guests from coming over. At around 5 in the afternoon, the weather bureau came out with the weather bulletin. Public storm signal number 1 was hoisted in the entire country. Anyway, the close friends of Mayok, rain or shine, did arrive with their cars. They won’t spoil the thanksgiving party tendered by Mario for everyone was missing Mario. Mayok opened up the party with his emotional greetings to his die-hard friends. He thanked them for their generosity, for their financial support and everything. What he is right now was indebted to all his friend’s help and support. After his 30-minute non-scripted talk, he offered a grateful toss to all the guests. He took a glass of brandy, raised it high, and said, “In God we trust and thankful for all the blessings He gave us!” He took a short sip from the glass and put it on top of the round table. The glass fell accidentally on the floor and was broken in pieces. Everyone was shocked. A big silence ruled the house. “Ring! Ring! Ring!”, a home phone broke the silence. The maidservant answered the phone, feeling nervous. She gave the phone to Mario. Putting the phone to his right ear, Mario was seen crying. Several tears keep falling into his cheeks. He left the party without asking permission from his friends. He took his car from the carport and drove to a certain Medical Center. He parked his car properly at the parking lot and hurried up to the operating room on the second floor. The attending nurse saw him walking to and fro in the corridor. She approached him and asked if he’s the relative of the two persons who were undergoing an operation. Mario just nodded his head, with droopy arms and worried face. The nurse told him to be patient and be hopeful that everything would be alright. He waited for three to four hours until the operation was done. The vehicular accidents victims were brought to the recuperating room. They’re still unconscious. Their faces were beyond recognition. Mario only recognized them by their body structure and height. He proceeded to the chapel located on the ground of the 4-storey medical centre. There he prayed and thanked the Lord. His two nephews survived the freak motorcycle road accidents. They’re on their way to the house of their uncle Mario that night. They’re riding in tandem when the 10-wheeler panel delivery truck hit them. It was the same time that the glass was broken after Mario finished a toss to his friends. It’s a premonition that something may happen. He didn’t return to his work abroad. He preferred to stay home to wait for the final recovery of his two nephews, Bravo and Segundo. It was on December 25 when both of them fully recuperated. The two arrived at the house of their uncle in a wheelchair. They surprised him. By and by, Mario’s friends arrived too. Mario at that moment was in the visitor’s receiving area. He’s tidying up some Christmas decorations in his big Christmas Tree. “Merry Christmas!” everybody chorused. Mario turned his back surprised. He first saw his two nephews. He ran to them and hugged them with tears falling again from his cheeks.